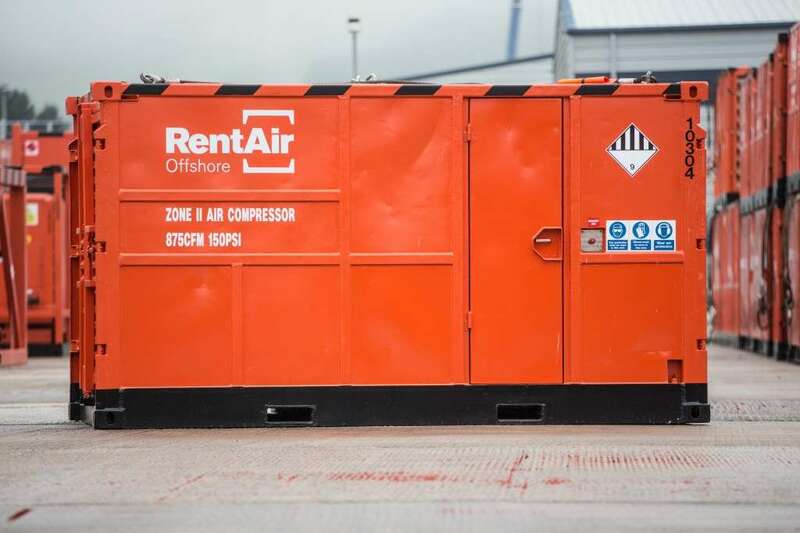 RentAir Offshore is a global provider of specialist rental equipment to the offshore energy industry. Our core products of air compression and steam generation are designed to support the needs of major oil & gas operators and service companies in the production of oil and gas, well testing, high pressure pipeline, rig repair, maintenance, drill cutting handling and renewables. Operating the largest global co-ordinated fleet of air compressors and steam generators, the fleet is fully complemented by supporting equipment such as gas booster compressors, aftercoolers, heat exchangers, dryer packages, sand filters, high and low pressure filter packages and associated ancillary equipment designed specifically to our customers requirements. Working in partnership with our customers our promise is to provide the right product, at the right time, and in the right place, along with the service and expertise to help our customers maximise productivity and profitability. Our proven quality, reliability and support from our team of experienced personnel ensures our commitment to provide safe, reliable and flexible customer solutions. RentAir Offshore operations are managed within ISO 14001, ISO 9001 OHSAS 18001 and registered with Fpal.